After her Robson Street visit, Laura will be stopping by the Granville and Broadway location to sign copies of Polly Wants to Be a Writer for their inventory. 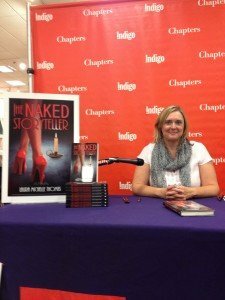 The books will be displayed prominently and have the “Signed by the Author” sticker. 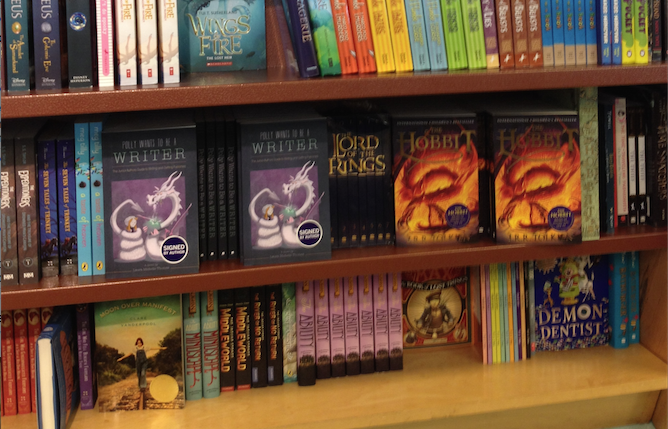 Polly sharing shelf space with The Hobbit at Chapters on Robson Street in Vancouver. 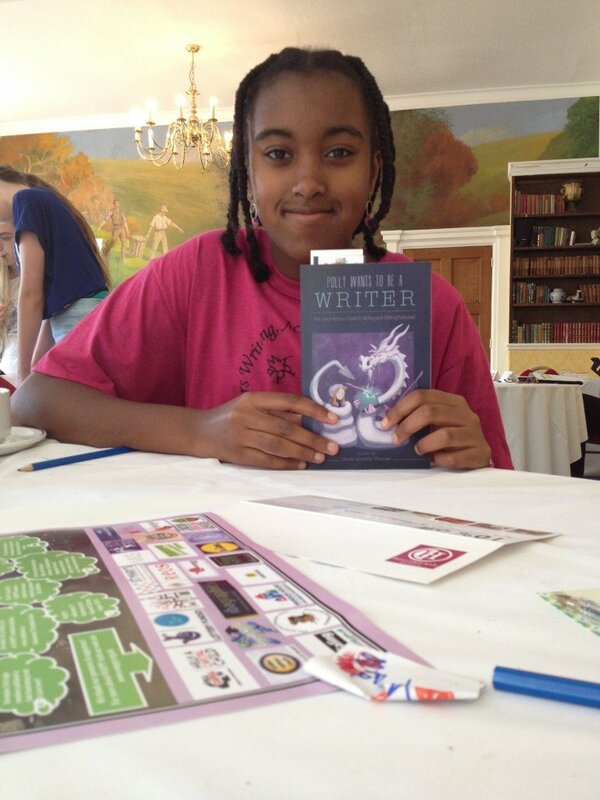 Draw for free signed copy of Polly takes place at noon! 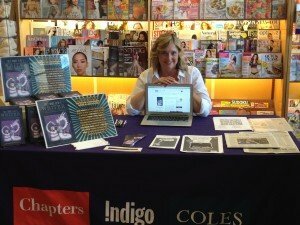 Laura is offering free feedback services as a draw prize for this event. Please contact the store to enter. We had a perfect kickoff to the fall tour! Thank you, Chapters. 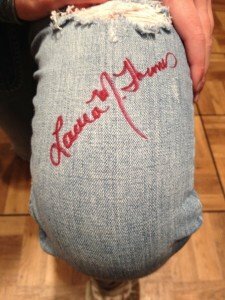 At the Junior Authors Conference, I signed a pair of jeans and a running shoe! That was cool. Workshop Title: “Brainstorm, rough copy, proofread, good copy, hand it in” is the wrong writing process to teach our students. Find out why and learn about the six-step writing process used by professionals and how to implement it in the classroom. More information on the BCTELA website. 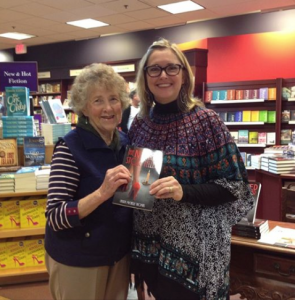 My grandmother loves TNS and dropped by Chapters Victoria to buy her 4th copy – a gift for a friend. 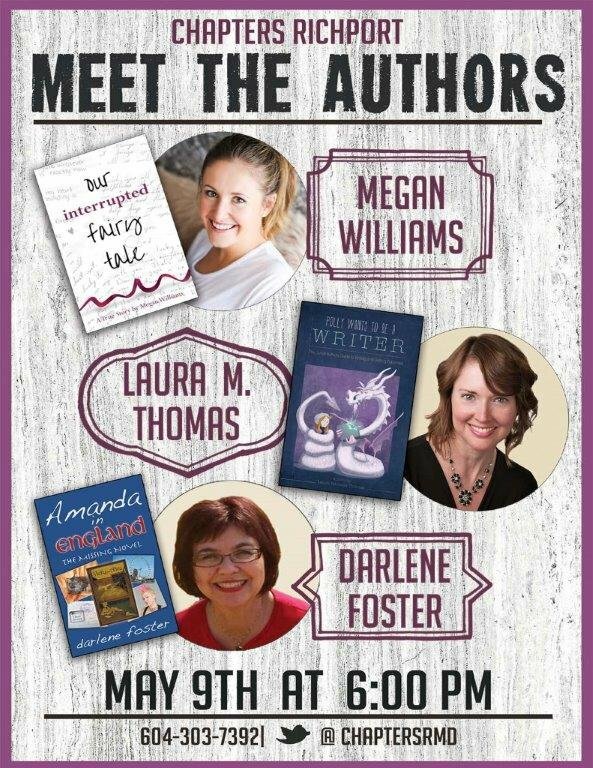 To book Laura for a signing or educational author visit, please contact her manager, Alan Hewson, at 604-614-6424 or email laura@laurathomascommunications.com. It would be super awesome if you came to Ontario! Hi Cindy. I would love to, but we have to sell more books first to justify the airfare!